San Ysidro Civic Center existing 7,000 square feet facility built in 1926. Multi use public facility leased from the City of San Diego since 1986 since. 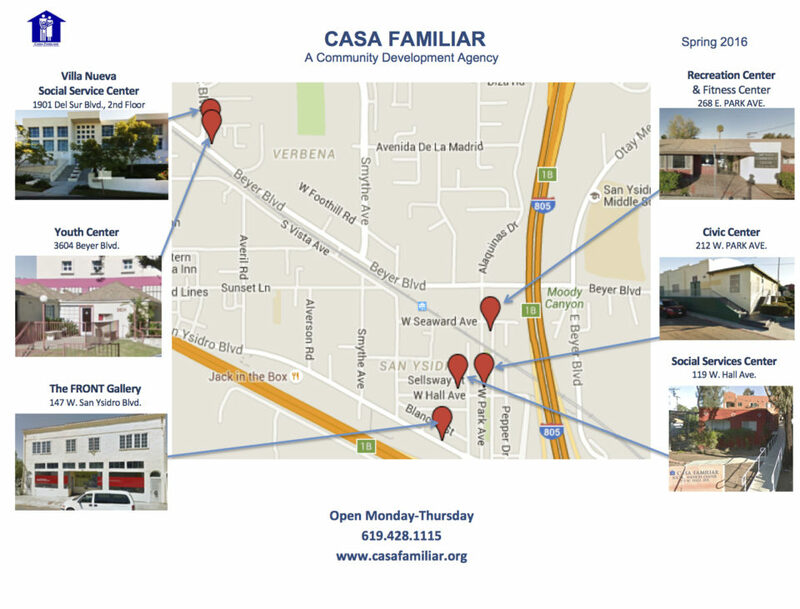 Casa Familiar stepped in to lease this facility because the City of San Diego was going to close the facility due to lack of funding.